The monuments in Washington, D.C. are among the most recognized buildings in the city, and I’ve enjoyed visiting them often. Photographing the monuments and memorials is sometimes a bit overwhelming, though, because of their grand scale and the many different viewpoints you can take. I could spend an entire day shooting some of them and still find myself with more to capture. Last month, when I went to D.C. on a photo walk with Arcanum Master Angela B. Pan, we spent some time at the Washington Monument. After taking some photos of that amazing obelisk, I turned the camera toward the distant Lincoln Memorial. 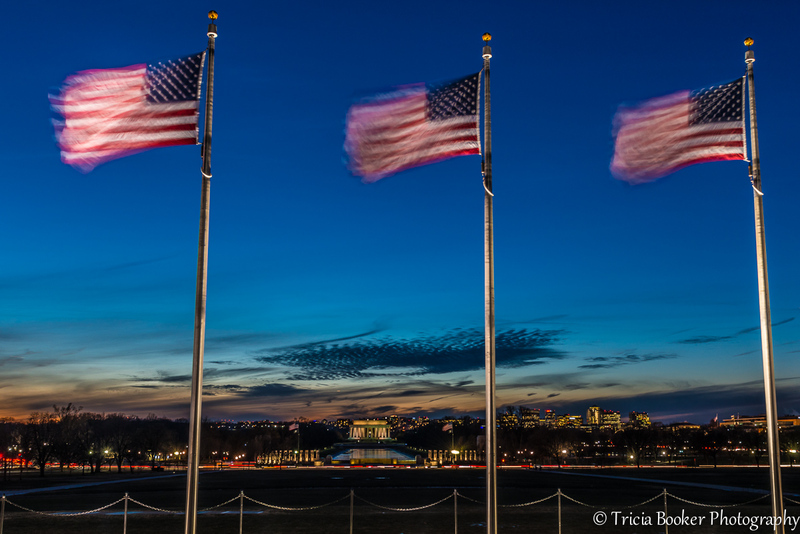 While the winds whipped the flags and froze my fingers, I caught the National World War II Memorial and the Lincoln Memorial against the setting sun. These are two of my favorites to visit in Washington. Although they look tiny in this photo, they’re impressively huge and inspiring up close, fitting this Weekly Photo Challenge of Scale.